There a strong presumption that a rejuvenated Franco-German relationship can relaunch the European project. That presumption is inaccurate. The problem is not that Emmanuel Macron has too much on his plate domestically or that Angela Merkel did not get the electoral results she (and Macron) might have wanted. The major constraint on a Franco-German relaunching of Europe is not even that the French and Germans disagree on fundamental issues related to reforming macroeconomic governance in the euro area. Rather, the reason a new partnership between France and Germany is not going to relaunch the European project is that Europe is not the same. Consider three differences between the Europe of today and the Europe of the past. First, the European Union has many more small countries. Second, Europe’s larger countries are less inclined to follow Franco-German leadership. Third, the prospective loss of the United Kingdom as a member will make relations among the remaining EU member states more rather than less tense. Small countries are not weak in any absolute sense and they can often use determination to make up for the relative imbalance in material resources. That has always been the case. Indeed, Europe would not be what it is today otherwise. Sometimes the small countries simply sought to go it alone. The Belgians insisted on the right to withdraw from the European Coal and Steel Community; they also demanded an exception on local voting rights. The Danes negotiated their opt-out from monetary union; the Swedes decided they would exercise an opt-out from monetary union without negotiation. The Poles, Czechs and Hungarians have followed that Swedish example (more or less). Other times, the small countries tried to drag the rest of Europe along with them. The Dutch stood alone against the Fouchet plan in defense of a supranational Commission; forty years later the Dutch joined that Commission in a legal challenge to the Ecofin Council in defense of the excessive deficits procedure. They won on both counts. The Danes vetoed the Maastricht Treaty; the Irish vetoed Nice and Lisbon. Europe managed to progress and yet while the treaties survived the practice of treaty reform and ratification did not. The Walloon parliament has made it clear that even trade agreements are imperiled. Small country acquiescence is not a safe bet. Large countries are no more reliable. That is why the Franco-German partnership has always been a volatile asset. Sometimes the French and Germans simply change their minds. The French insisted on supranational institutions only to launch a stalwart defense of the nation state; the Germans demanded the stability and growth pact only to set aside the excessive deficits procedure. The point to note in both cases is that France and Germany moved together; the implications for the European project are what differed. There are also times when the French and Germans simply change. The projects started by Charles De Gaulle and Konrad Adenauer did not flourish under Ludwig Erhard, Kurt Kiessinger, Georges Pompidou, or Willy Brandt. There was a long period of close cooperation from the late 1970s to the early 1990s but that relationship changed when Francois Mitterrand handed over to Jacques Chirac and Helmut Kohl passed the reins to Gerhard Schroeder. 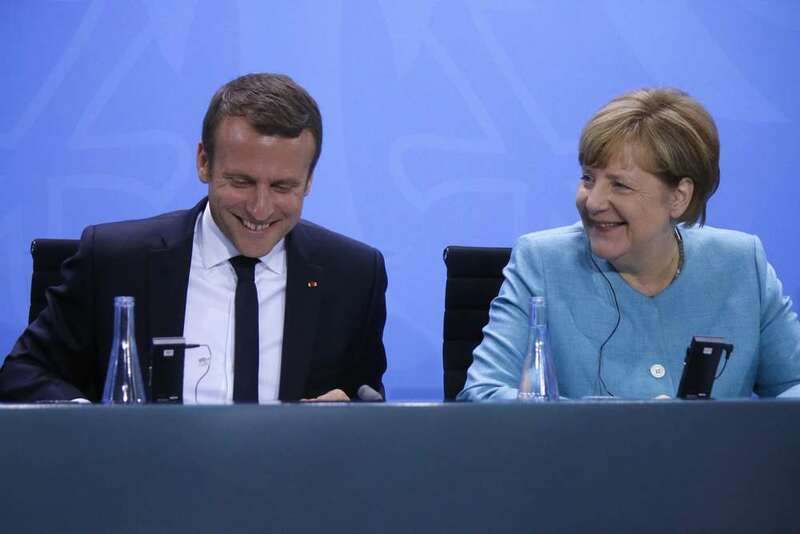 To be honest, the Franco-German partnership has never been quite the same. The Italians are another story. Once Italy looked to Europe as a benevolent context. Many Italians contributed to European integration in fundamental ways. But for most of the country’s elites, Europe represented development and modernization in the 1950s and 1960s. Starting in the 1970s, Europe evolved into a supportive external constraint (or vincolo esterno). The Italians did not always agree with where the Franco-German partnership might be headed but they respected Franco-German achievements. And they found ways to leverage the institutions that France and Germany created to encourage essential reforms at home in Italy. That sense of benevolent context ended in or around 2011. Since then, the Italians have grown increasingly skeptical of Europe and correspondingly assertive in pursuing their national interests. The attitude in Italy is similar in many ways to views you might find in the Czech Republic, Hungary or Poland. Membership in the European Union is not a privilege; it is an earned achievement. From this perspective, the European Union should form itself around national peculiarities and requirements rather than shaping national institutions or performance to suit the European Union. The French and Germans may want to throw their weight behind a particular vision of how Europe should move forward, but these other countries will want to have their own positions heard. Of course, Great Britain always participated that way. That is what made the United Kingdom such an ‘awkward partner’ within the context of the Franco-German relationship. The point to note, however, is that British ‘awkwardness’ was characteristic and not idiosyncratic. The British have many idiosyncrasies, but wanting to be heard and to have their ideas taken seriously is not one of them. That characteristic is widely shared. What made Britain distinctive was the power that it could bring to bear relative to France and Germany. The British did not always get what they wanted in moments of intense conflict – think about Tony Blair and the 2002 financial framework negotiations – but they were always treated with the respect that relatively equal power entails. Jacques Chirac and Gerhard Schroeder may have exchange harsh words with Blair in the heat of the moment, but they did not smirk at him like Nicolas Sarkozy and Angela Merkel did with Silvio Berlusconi in 2011. Without Britain in the mix, the other countries of Europe will have to assert themselves more forcefully to be heard. Here it might be useful to consider that the decade before British entry was far more fractious, than the decade after. Moreover, the French ‘empty chair’ was not an isolated incident; in fact, it was provoked in many respects by Dutch intransigence over Community financing. And the decade that started after the French and Germans finally agreed on a British rebate was even more productive – arguably Europe’s best in terms of making concrete progress. The Franco-German couple may have been the engine of Europe, but their British partners played a crucial role in ensuring everyone else stayed on board. None of this is to say that a revived Franco-German partnership would be bad for Europe or that Europe is incapable of progress or reform. On the contrary, cohesive relations between Europe’s two great powers is a boon not just for Europe but for the whole of the world. Nevertheless, we should not expect this Franco-German relationship to revolutionize Europe. That may have been possible in the past, but that Europe no longer exists. The new Franco-German partnership will have to adapt to this changing context. This piece was originally published on E!Sharp. For the edited version, go here. The image is borrowed from the original version and is credited to Shutterstock.